Despite critic reviews that were less than what Pixar is used to, their latest movie, Brave, did very well at the box office this weekend. So, after this, exactly how many No. 1 movies does Pixar have under its belt? 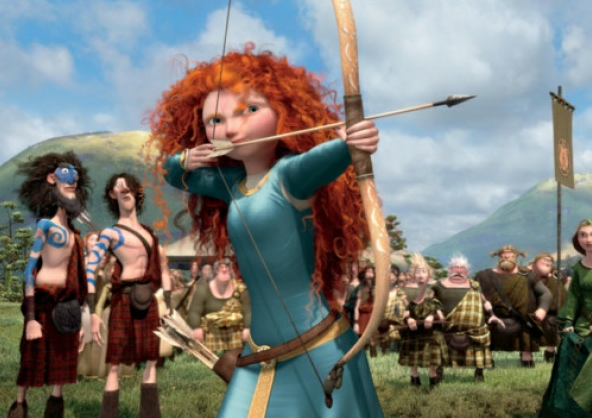 “Brave” didn’t receive the type of critical response that Pixar is used to, but audiences don’t seem to care. The animated family adventure earned $24.5 million on Friday night, putting it on track for $66 million or more by Sunday night. That gives Pixar its 13th straight number one film at the box office. At this point, I feel like no matter what the critics say, Pixar will always own the box office every time another of their movies comes out. Have you seen Brave yet? This entry was posted in Movies and tagged Box Office, Brave, Disney, Pixar. Bookmark the permalink.